In the SHUGC Centenary Texas Scramble a team from Market Drayton secured a second place with 52.5 after a handicap reduction of 9.45. They were just one point behind the winners Mile End. 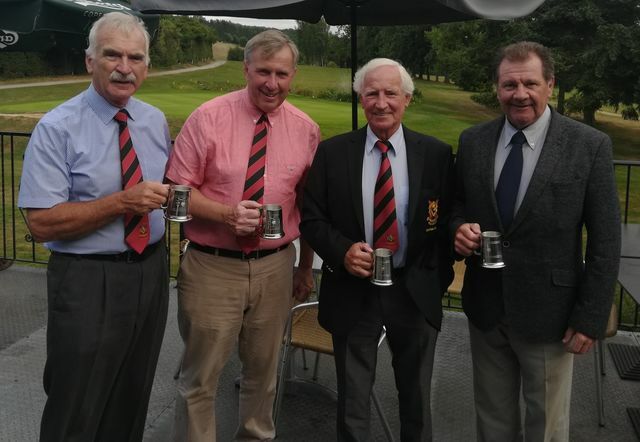 Some 50 teams entered the competition at Leominster and the team, holding the runners-up prize tankards, are pictured left to right are Trevor Mellor, Vice Captain John Cushing, Captain Lloyd Readhead and Graham Ellerton. Picture courtesy of Leominster club manager Alan Viney.